DOVER, Del. (WPVI) -- A man was arrested on drug and weapons charges following a hit-and-run crash near Dover, Delaware. Delaware state police were called to North DuPont Highway and Messina Hill Road around 1:39 p.m. Saturday after a Ford F-150 reportedly struck a car. The truck continued southbound on N. DuPont Highway and, police say, callers reported that the vehicle was on three wheels. The driver had pulled into a commercial property off Jerome Drive where police caught up with him. 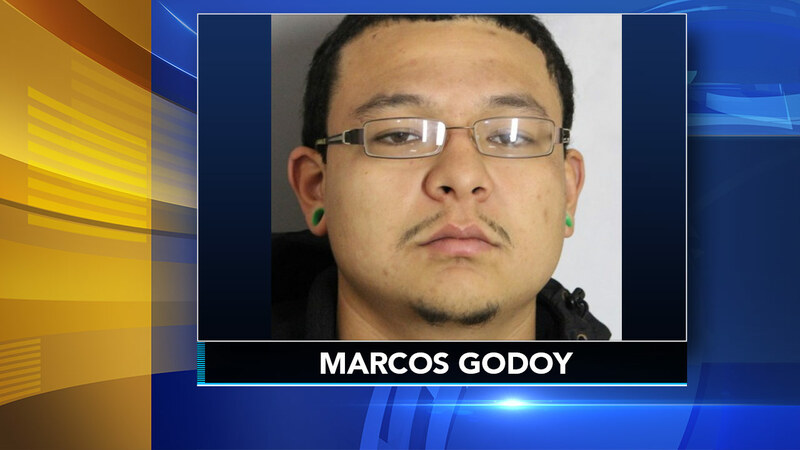 They allegedly detected the odor or marijuana when they made contact with the pickup's driver, 22-year-old Marcos Vinicio Godoy of Middletown. Godoy was detained as police searched the vehicle. Troopers allegedly found both marijuana and an unloaded handgun in the vehicle. A magazine with 11 rounds of ammunition was also found, police said. He is facing drug, weapon, and traffic-related charges.